Spring finally appears to be on its way (although we still have inches of snow and ice on the ground in places), the sun shines brighter and longer each day (the vernal equinox is tomorrow! ), and everyone’s spirits are slowly lifting in anticipation of warmer weather (anything above 40 is considered warm these days). 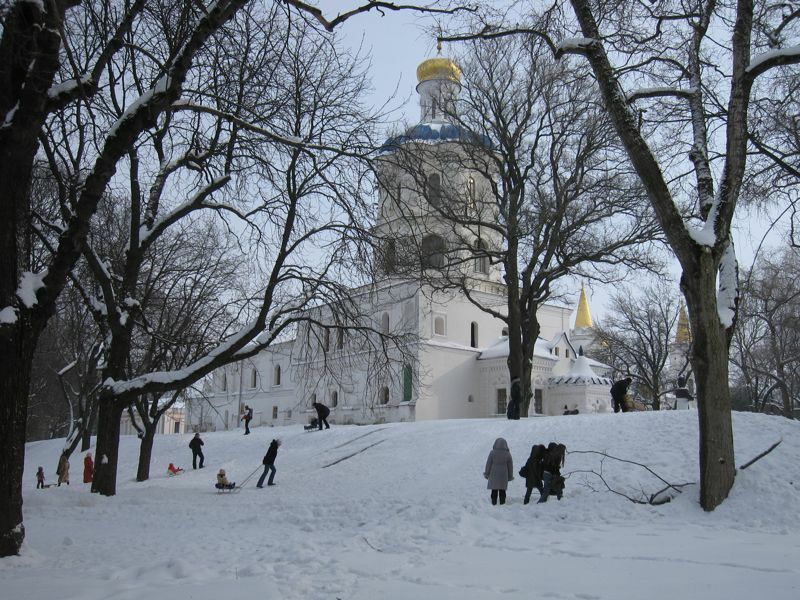 So, it’s time to get you caught up on winter in Ukraine. 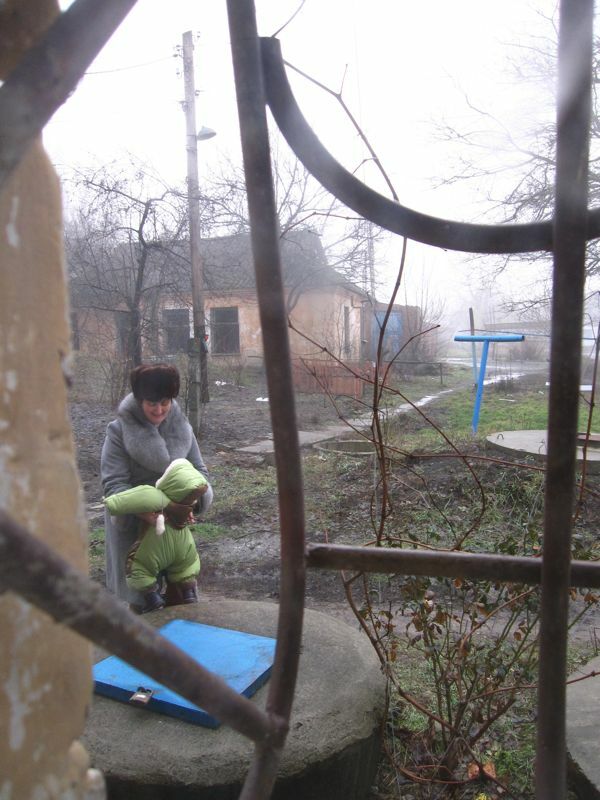 First in our Winter Wrap-Up series: Ukrainian kids. We have come to the conclusion that kids in Ukraine are the cutest beings on the planet. 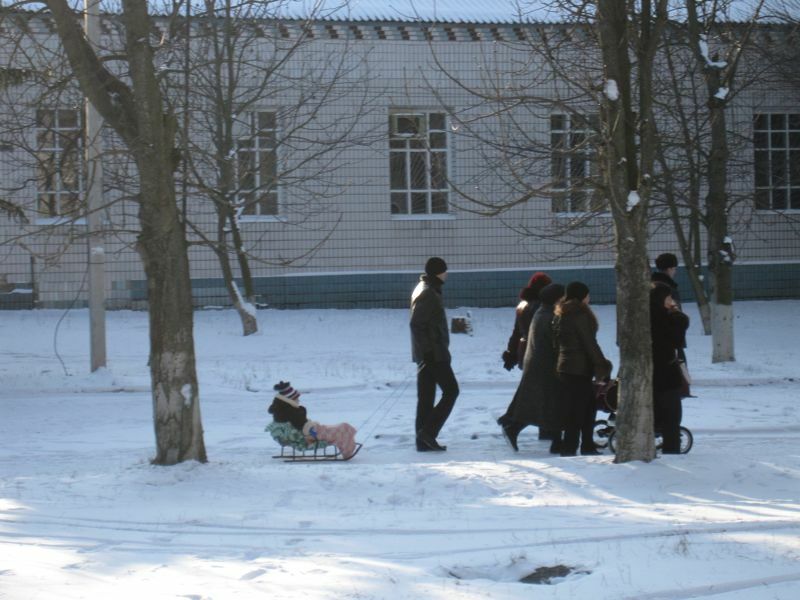 Ukrainian parents don’t let the winter stop them from taking a stroll with the kids. If the temperature drops below 60, they just stuff their children into enormous coats, hats with ears, and baby carriages with enough padding to protect the kid from a 7-story drop. Picture Ralphie’s brother Randy in A Christmas Story, and you have the right image. These kids can barely manage to waddle along next to their parents, so out come the sleds. Words cannot convey the appropriate amount of cuteness, so please sit back and enjoy our pictures. The first time we really took note of kids on sleds was in Budapest. You can tell this kid's not in Ukraine because she can move her arms. While talking to Luda outside the Lyceum on voting day, this little gem was getting ready to go. Off he goes, down our town's main pedestrian drag. 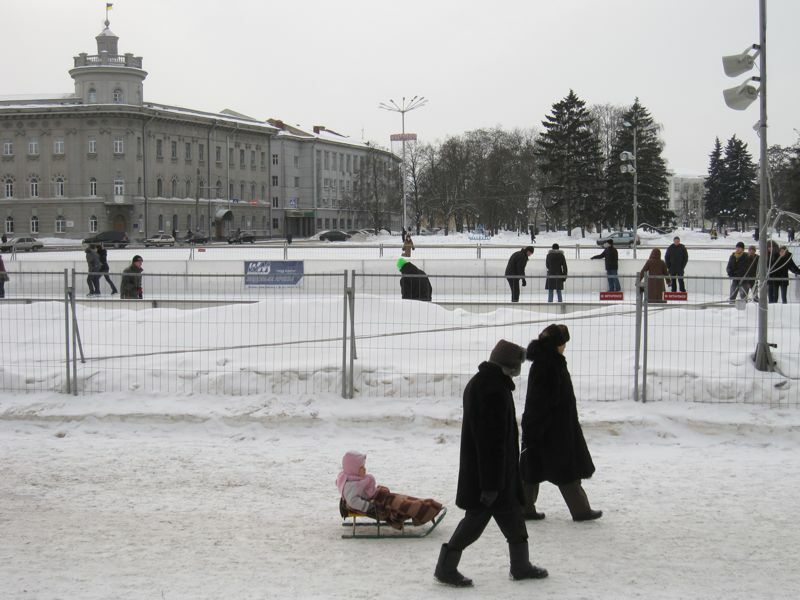 In front of the skating rink in Chernihiv's downtown square, we caught sight of this little one enjoying a nice ride. 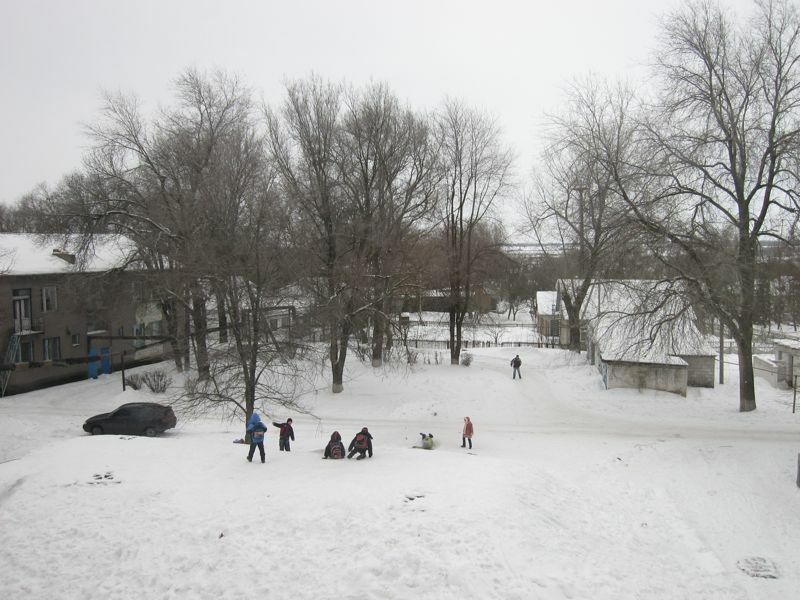 Since Chernihiv has some small hills, the kids actually got to ride down, instead of just being pulled around everywhere. 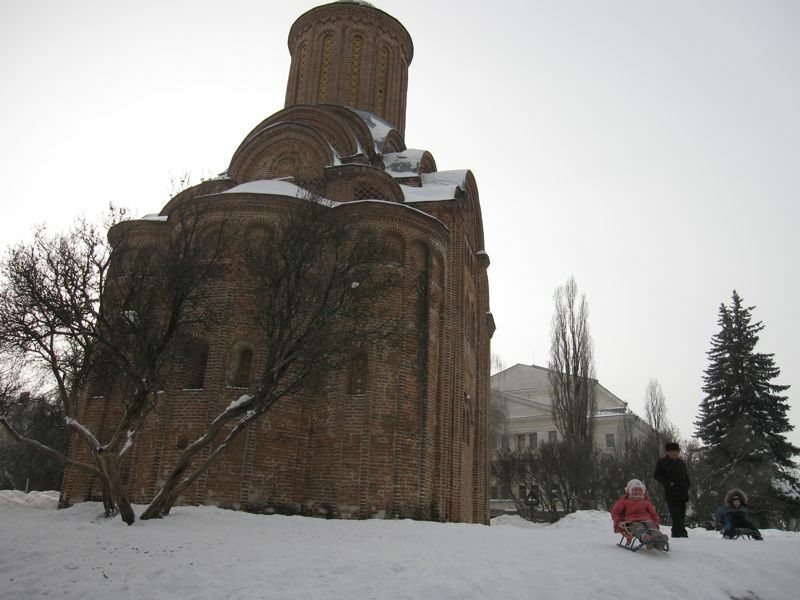 The hill beside one of Chernihiv's famous churches provided an afternoon of fun for these kids and families. 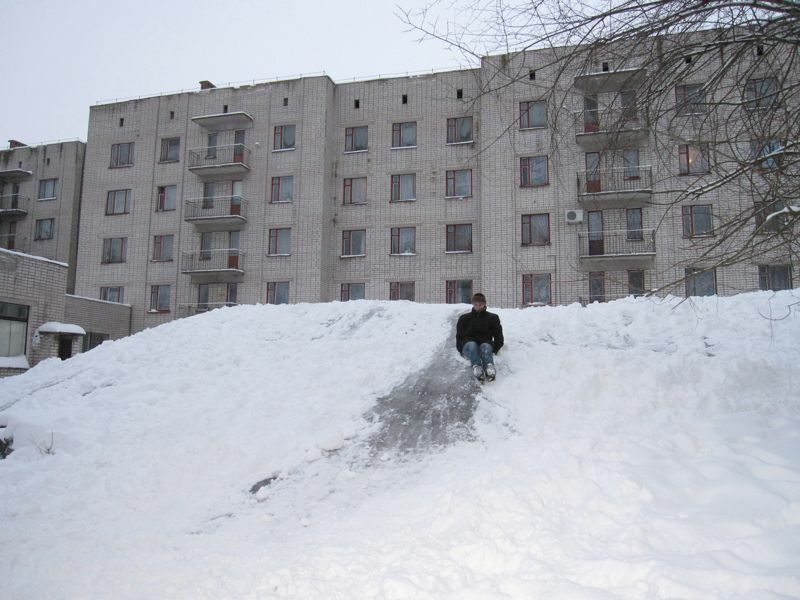 The only hill in our town (covering two huge water basins behind the lyceum) attracts school kids in the winter, who don't need sleds to slide down the side. Alex tries sliding down the ice patch left behind by the students. Unfortunately, he just doesn't quite exude the same amount of cute. Those pictures were pretty cute, although I still think that Malian babies are the cutest on the planet – too bad I won’t be in Ukraine during the winter to see for myself! Really nice pictures of cute kids. One small pleasure from the long cold winter. If only I had pulled Henry around on a sled, we would have fit right in. We got the “bundled up” thing right!